One of these men is a Belieber. As if that wasn’t enough, his ex-missus Selena Gomez filmed herself and her lady friends dancing to a song called Your Boyfriend Is A Douchebag. Burn, Bieber, burn. Selena tagged the video as “All fun!” Hmm. Yes, that’s Paul Simon in the hat. Wait… is Tom Hanks doing an impression of the guy who looks like a thumb? #CELEBRITY WAR: Rapper Azealia Banks – who you’ll remember threw down with Amanda Brunker last year – has got into a row with the Stone Roses AND Rita Ora on Twitter. Ouch. It’s all changed since the heady days of… um… last week. Look! They were best pals! 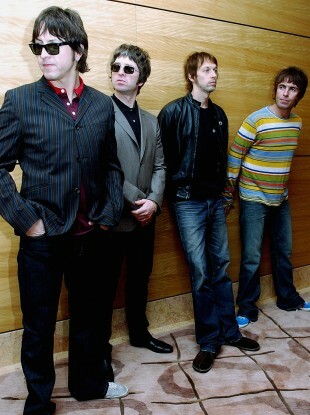 Email “The Dredge: Which member of Oasis loves Justin Bieber?”. Feedback on “The Dredge: Which member of Oasis loves Justin Bieber?”.